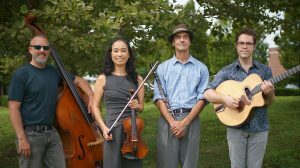 Join us in the Trail's End Cafe lounge as 440 expands the gypsy jazz tradition of Django Reinhardt and Stephane Grappelli with danceable swing standards from the era of Benny Goodman as well as originals by the band. Their toe-tapping, snappy, hot jazz, swinging style is a delight to experience. Drop on by, the studio will be open for mini projects for the little ones, ages 4 & up. 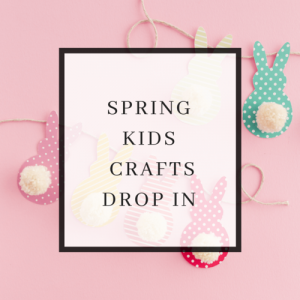 We will have some fun mini spring projects to choose from. $15.00 each. We will be open, drop by anytime between 11:00-4:00 on Sunday April 14th Pre-registration is not required.